Welcoming 2010 with my new .ME! date.me, love.me, hug.me... insure.me, fix.me, treat.me... aren't these just aweso.me? But, without tens of thousands of dollars, you're a bit too late as over quarter of a million of these new .me domains have been snapped away in less than eighteen months since this this new top-level domain was opened to public registration. But, there are many other names up to hundreds of thousands more out there for you to find and treasure. (note that there have been tens of millions registrations for the other TLDs like .com, .net, .info, .de, .uk, .cn etc.). 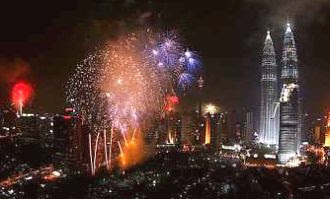 We have a special offer for you to welcome 2010... Read on until the end! What can you do with ? .Me potential is enormous and it simply asks for you to be creative and coin the name that suits you best. If you have a great, original idea for a domain name, register .Me before it’s taken. Because .ME is about YOU! .ME has incredible potential for Internet users world-wide. Think about it. 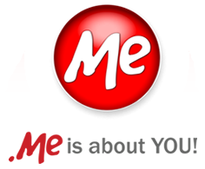 With a .ME domain, the Internet will, quite simply, be all about YOU. For the first time in Internet history, domain names are essentially personal. .ME is expected to be utilized as both a personalized Web address and as a catchy business marketing tool around the world, initially in English followed by localized and standards compliant International Domain Names in, for example, Spanish, Italian, and Montenegrin. .ME domains, with their universal appeal, are expected to be in high demand. So some “premium” names – including verb-oriented domains, such as “Contact.ME,” “Drive.ME” or “Fly.ME,” – will be held back for auction after Open Registration. We will have more information available on premium auctions in the months to come. e.g. “lookat.me”, “WillYouDate.me”, “Insure.me”, “Shopfor.me”, “ChatWith.ME”, etc. PODGORICA, Montenegro – Oct. 21, 2009 – The .ME Registry is celebrating significant success in its most recent online auction. NameJet® auctioned off 15 premium .ME domains between Sept. 25 and Oct. 2. The results certainly suggest .ME is a popular and valuable commodity in the world of domain extensions. Among the biggest sellers, Friend.Me sold for $21,000 and Host.Me sold for $15,200. The popularity and increasing value of the .ME extension is not surprising when you take a closer look at how people and businesses around the world are using this ccTLD to send a message on the Web. WhyHire.Me is a Web site, launched in North America, to help students and graduates get noticed by potential employers. A college professor and two software professionals developed the site. Now, several universities are using the portal and curriculum to teach students about new media and online personal branding. “As an educator and brand marketer, I seek out the clearest possible message,” says Patti Church, one of the co-founders of WhyHire.Me. "No one can dispute the value and clarity of what our brand name communicates or what dot-ME offers our students and subscribers who use it to build their own online brand." If previous years have been about .YU and the others - .COM, .ORG, .INFO, .BIZ, .TV, .MOBI, .US etc., 2010 is about .ME, .ME, and ME! instant price drop of at least one-third (over 35%), or up to 50% compared to elsewhere, to just RM65 or US$18.99 for your full entry year. On August 3, Daniel Goncalves, a 25-year-old computer technician, allegedly hacked an email account, stole login information, and falsified PayPal transaction records in an elaborate scheme to claim ownership of P2P.com, a domain valued at $160,000. This arrest marks the first for domain theft, which has been difficult to prosecute because of the technical and legal complexities of the domain registrar system. Unfortunately for Goncalves, the owner of P2P.com was a former prosecutor for the Justice Department with a background in Internet payment processing. 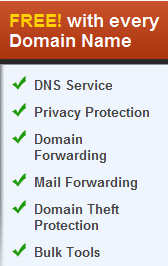 BTW, Domain Name Theft Protection is FREE at 1oasis.net! Happy New Year 2010! Get up to 10% back on EVERY ORDER!! Pay for any order - new, transfer and renewal by or before Thursday, 31 DEC 2009, and get up to 10% back credited to your account for future purchases/transactions. ==> Save RM10s and more, instantly, this year! This offer applies to products NOT already on SALE (marked "JUALAN" or "SALE" on our website). Limited to RM20 per product. eg. get up to 10% back for each of separate products of domain name, web hosting, email hosting and SSL certificate (up to RM80 back in total). Have a merry & safe holidays! And here's our craziest offer so far: 22% OFF everything at regular prices on 1oasis.net !! 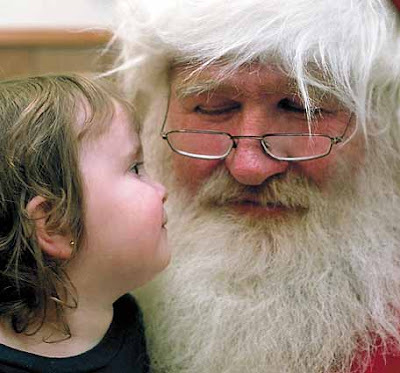 ...Only if you order and/or pay for your orders (including RENEWALS) today, 22 DEC 2009. Applies only to items not already marked "JUALAN" or "SALE"
Offer expires on 11:59pm, Tuesday, 22 DEC 2009. Our latest promo for .IN is NOW LIVE: Just RM12 for 12 monts of validity for .IN top-level domain names. That's just RM1 a month - only at 1oasis.net! As with China, India is one of the fastest growing market in the world today both online and offline. So, .IN presents your best opportunity to secure your audience from this billion-plus population country. Besides, .IN just sounds cool, and it's open to anyone, everyone, globally... Are you in?? ie. Other markets to watch: .EU for Europe, .MOBI for mobile and .TV for that mainstream media/infomercial channel. And .INFO is one of our constant favorites for anything and everything - Information really do sell well on the Internet today! 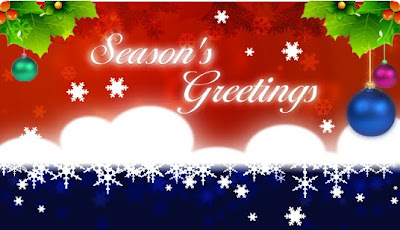 Enjoy great holiday season everyone!